An Atlantic City man recently released from prison fought officers after he was found trying to steal from the Bass Pro Shop, police said. Marquis Harison was released from prison in April. Marquis Harison, 21, who was released from prison in April, had a gun with him that police say had been reported stolen from Pennsylvania. 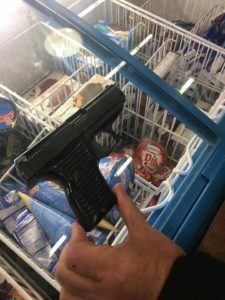 Officers Gabriel Chevere and Syed Shah responded to the store at about 2:35 p.m. for the report of two men shoplifting items, including a handgun magazine, Sgt. Kevin Fair said. 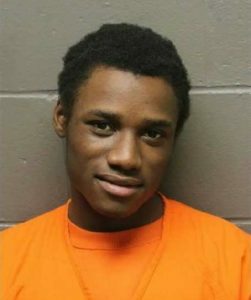 Kaleef Ardis, 20, of Atlantic City, was arrested without incident. He also allegedly had a gun. But when officers tried to take Harison into custody, there was a violent fight, Fair said. As Harison punched Chevere in the face, the handgun fell to the ground, according to the report. Harison tried to reach for the gun, but officers were able to pull him away, Fair said. Bass Pro employees called 911 to try to get the officers’ help. Retired Atlantic City Police Officer John Dollard captured part of the struggle on video — until he dropped his phone and jumped in to help. Dollard, who was on the department 24 years before retiring in 2004, said he was shopping at Bass Pro when he saw a police officer start to question and pat down a suspect. He said saw the gun slide across the floor as the suspect was reaching for it, which is seen at the end of the video. “After finally securing the suspect, the Cavalry arrived and the suspect was taken into custody,” he said. Dollard wound up with a cut under his eye and a broke pair of glasses. 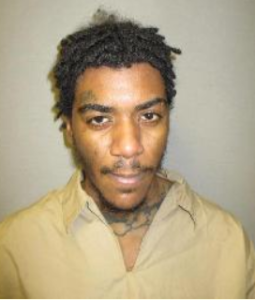 Department of Corrections records show Harison was released from the Garden State Youth Correctional Facility in April, where he served three months on shoplifting and weapons charges. Ardis was arrested in January, after he was found in possession of a replica handgun and marijuana, police said at the time. He also had an active warrant for his arrest. Kaleef Ardis was just arrested in January with a replica gun, police said. 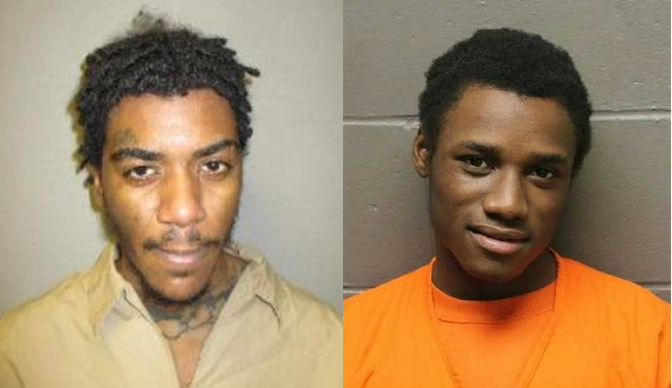 Harison and Ardis are in the Atlantic County Justice Facility on charges of unlawful possession of a weapon, possession of a weapon for an unlawful purpose, possession of hollow-point ammunition, certain person not to possess a weapon and contempt of court. Harison was additionally charged with aggravated assault on a police officer, resisting arrest, receiving stolen property and shoplifting. Anyone with information about this incident is asked to contact Atlantic City police at 609-347-5766. Information may also be texted anonymously to tip411 (847411), beginning the text with ACPD.